Josephine Stark joined the McTague Law Firm in 1985 and became a partner in 1993. 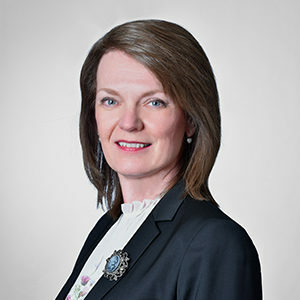 Since joining the firm, Ms. Stark has practised in the Litigation Department appearing before various boards and courts including the Court of Appeal for Ontario. She has extensive experience in the litigation field including contract disputes, estate disputes, as well as the defence of municipalities, school boards and various professionals.